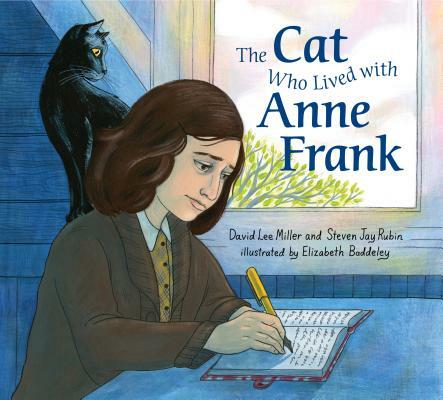 Told through the warm lens of a beloved pet, The Cat Who Lived with Anne Frank captures the life of a young girl filled with promise in a way that young readers can appreciate and understand, with art by the NY Times bestselling illustrator of I DISSENT! When Mouschi the cat goes with his boy, Peter, to a secret annex, he meets a girl named Anne. Bright, kind and loving, Anne dreams of freedom and of becoming a writer whose words change the world. But Mouschi, along with Anne and her family and friends, must stay hidden, hoping for the war to end and for a better future. Told from the perspective of the cat who actually lived with Anne Frank in the famous Amsterdam annex, this poignant book paints a picture of a young girl who wistfully dreams of a better life for herself and her friends, tentatively wonders what mark she might leave on the world, and, above all, adamantly believes in the goodness of people. Accompanied by beautiful, vivid art, this book is a perfect introduction to a serious topic for younger readers, especially at a time when respect and inclusion are so important. David Lee Miller is an award-winning filmmaker who has four cats -- Pau Pau, Basil, Sage, and Amadeus Meowzart. His teen dramedy Archie's Final Project (aka My Suicide) won 21 Best Picture Awards around the world, including the Berlin Film Festival. David wrote for Marvel's Spider-Man animated series, the adaptation storybooks for the feature films Baby and The Goonies, and created some of the first kids' computer games -- Zoo-Opolis! and the Explorers series. Steven Jay Rubin previously authored Combat Films: American Realism 1945-2010, and The Twilight Zone Encyclopedia. He produced the World War II drama Silent Night, nominated for four Canadian Television Academy Awards, and the documentary Return to the Great Escape. A James Bond expert and author of The Complete James Bond Movie Encyclopedia, Steve likes his smoothies shaken not stirred. Since writing this book, he is no longer allergic to cats. Together, Miller and Rubin co-founded Regenerate (www.regenerateonline.org), an award-winning nonprofit arts organization that empowers youth to create and distribute media addressing important teen issues. Elizabeth Baddeley is an award-winning illustrator of such notable titles as: I Dissent: Ruth Bader Ginsburg Makes Her Mark and The Good Fight: The Feuds of the Founding Fathers (and How They Shaped the Nation). Elizabeth has been honored by Communication Arts, American Illustration, 3x3 Magazine, Print, and the Society of Illustrators from which she received a gold medal for her Swimmer Girls series. Elizabeth resides in Kansas City, Missouri with her husband and small menagerie.